A few years ago, Misen launched the a Chef’s Knife on Kickstarter and were funded by over 13,000 backers. The Misen Cookware story didn’t begin with a knife. It began with a pan. Well-made pots and pans are essential for great cooking. Quality cookware helps produce better, more evenly cooked food, provides more control and versatility in the kitchen, and if well made should last a lifetime. 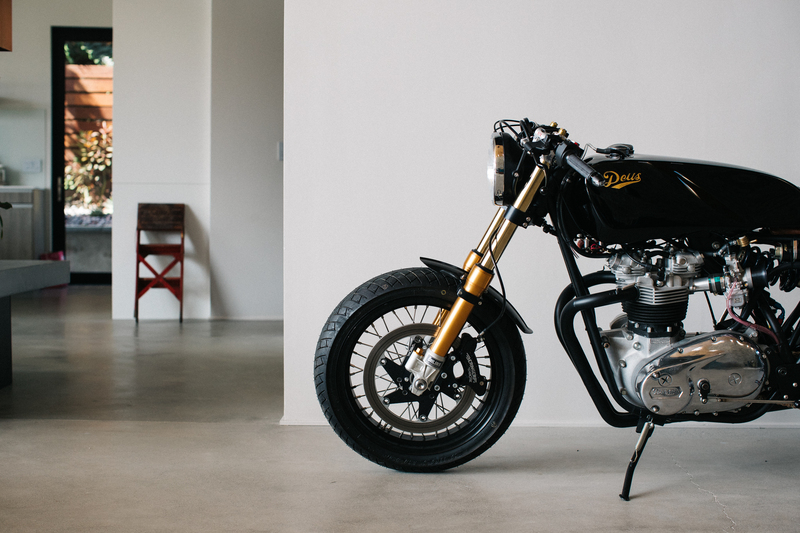 Michael Woolaway’s latest artistic creation is way hotter than your highschool crush. She's a classy 1978 Triumph T140, ported and polished 750cc T140 with all the trick racey bits Megacycle cams and lightened lifters, bevelled and drilled cam gears, chromoly push rods, and 7mm Kibblewhite hardened valves with modern guides and seals. Handmade intake runners accomodate big gulps from two 34mm Mikuni flat-slide carburetors with velocity stacks. Want more details? Ok shut up about it, here they are: Mikuni TM34-2 flatslide carbs, Handmade aluminum tank and seat cowl, Carbon fiber front fender, Rizoma rearsets, Motogadget control unit and gauges, LSL clip on bars, Tubeless spoke wheels, Bridgestone BT45 tires, Ohlins forks, Rear suspension by Jimmy Wood at Moto Station, Beringer 6 piston front caliper, Brembo rear brake and a Saddlemen seat. Classic meets contemporary with the Tambour Line. This one of a kind piece takes the classic horizontal sliding tambour door and adds a contemporary twist. The elegant curves and movement of the tambour sliding door is highlighted and showcased from all angles. 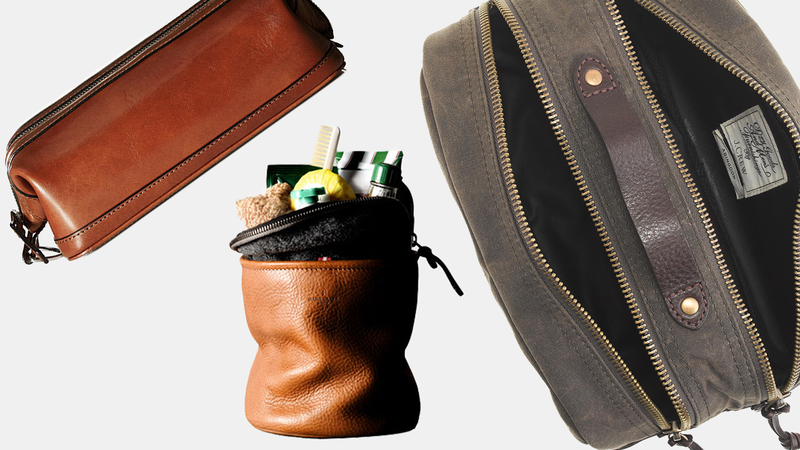 Each Bar is entirely hand made in Brooklyn, New York. Each tambour wood slat rests atop a rail, which allows the beauty and elegance of the sliding door to be seen from all angles as it glides over the base. Hardwood casework and drawers offer ample storage and durability. Custom configurations, woods and finishes are available. No one wants to be stuck on the side of the road hand pumping anything. If your someone who travels by bike frequently, the Mini Fumpa Bicycle Pump can get you back on the road in under a minute. It weighs under seven ounces, is pocket ready, and powered by a rechargeable lithium-polymer battery. Contains a patented compressor design, which compresses surrounding air at remarkable speeds to fill you up. 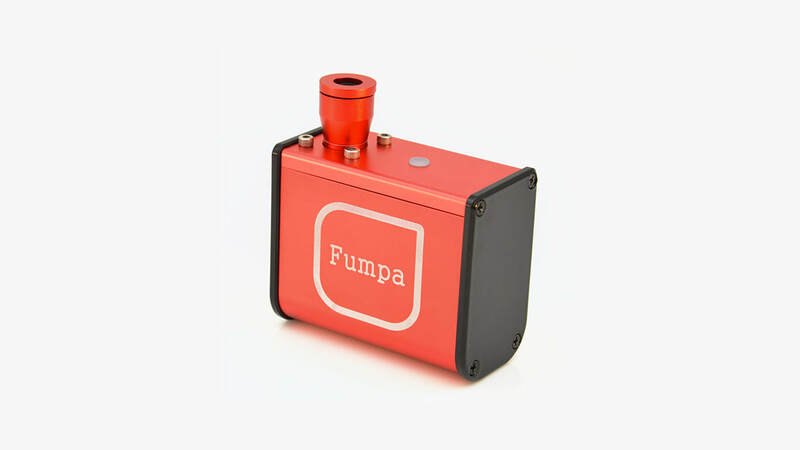 Only works with Presta valves but, the full-size Fumpa has all the connectability you may need. It’s the smallest loudspeaker ever seen in the Vifa range, but nonetheless Reykjavik still has an impressively powerful sound, due to its shape allowing a 360-degree experience Features Include: Bluetooth® Wireless Technology, AUX 3.5 mm mini jack, USB playback, Lithium Ion battery , DSP crossover, optimized for low distortion and high precision, 3 channel digital amplifier, LINK two speakers and Speaker phone (Incl. noise/echo cancelling). 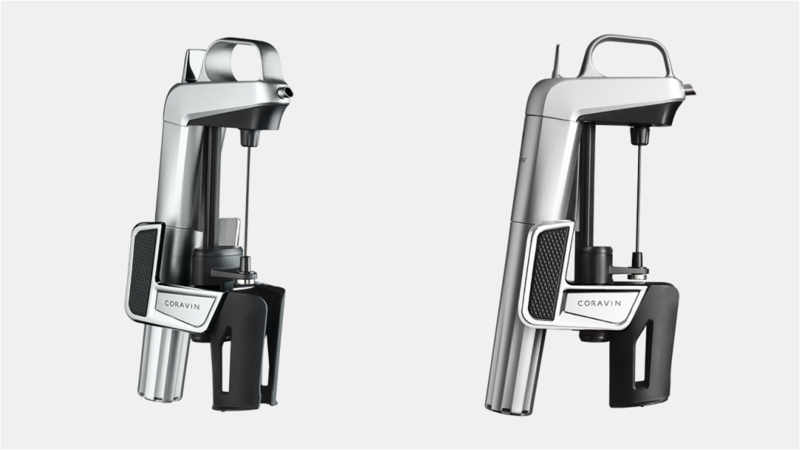 We have yet to test this thing out but it's on the way... Stay tuned for the full review. 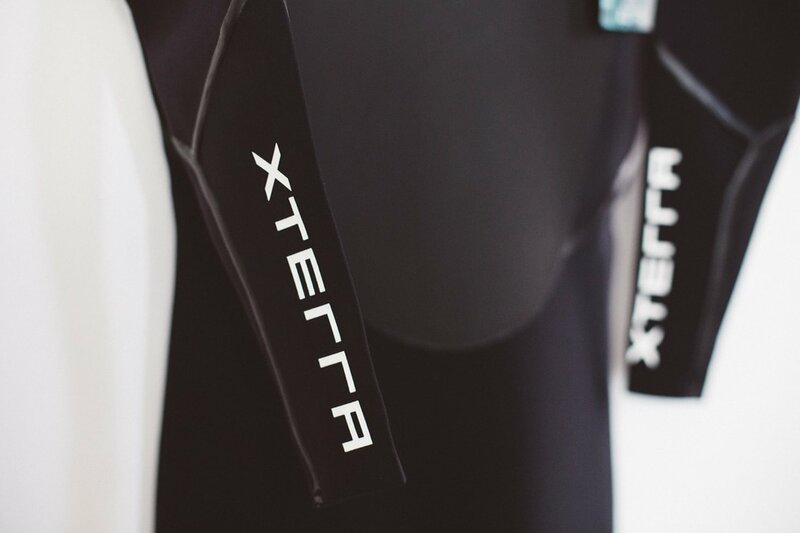 XTERRA Surf is a San Diego based wetsuit brand with over 25 years of industry experience. Their suits are lightweight but warm. The Incognito 2/2 Chest Zip Wetsuit is flexible, comfortable and warmer than you would think. I have been testing this suit for the past few weeks and have never been this comfortable in a wetsuit. The quality of build is solid and the suit comes with a one year guarantee. If your looking for a new go-to wetsuit for surfing and / or swimming, I would look into XTERRA Surf. Tested and approved by the team. Searching for a desk can be hard these days. Whether your picking a standing desk or not, the market is exploding with thousands of different desks options. The clean lines and awesome table top material / size options make this desk stand out in the heavily populated marketplace. ​With scientifically proven health benefits of standing up at work, you can easily adjust your desk’s height up or down (27.5 - 47.2 in), powered by a single motor that extends dual segment leg. 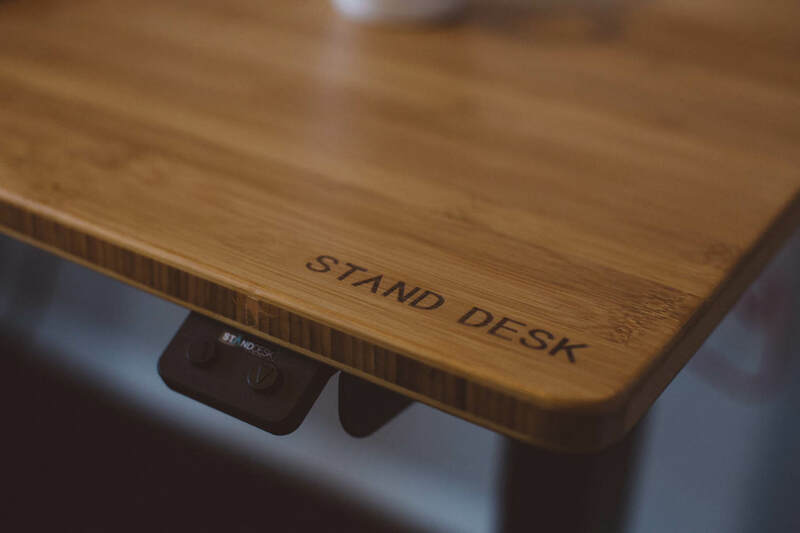 Stand Desk definitely stands out amongst the crowd. Tested and approved by the team. 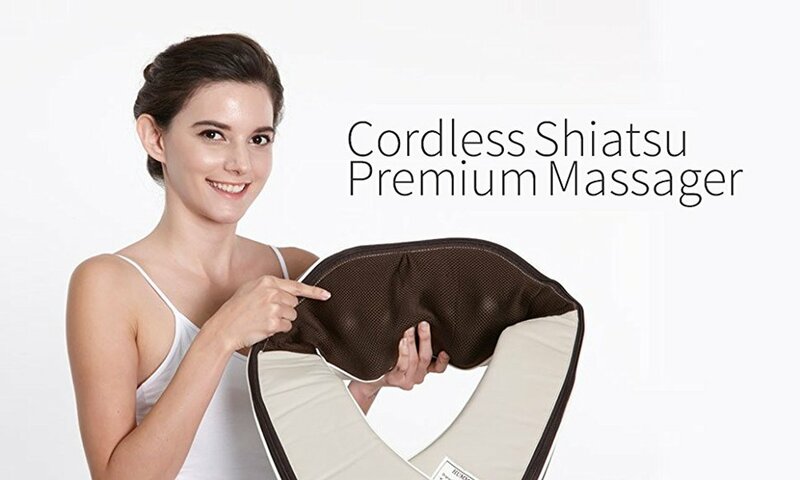 This FDA approved Cordless Shiatsu Premium Back Massager is no joke. Everyone loves a good rub down, but who has the time? With Hueplus, there's no need to beg your friends or significant other for a massage. Happy Room's Hueplus Shiatsu Shoulder Massager provides relief to the lower neck by using massage nodes which feel like 8 rotating kneading balls. Hueplus also has a heated option which allows heat to loosen muscle knots found throughout your body. This massager is your one stop shop for aces and pains. Seriously, the massagers is extremely versatile and can be used on almost every part of your body. Wether you like drinking whiskey or looking cool, these stainless steel ice cubes will do the trick. 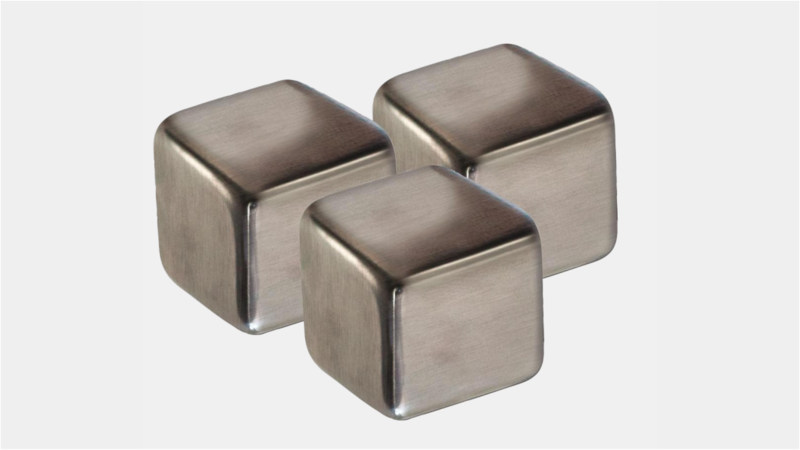 The cubes are made from food safe, stainless steel blocks with a non-toxic gel safely sealed inside each cube. You need about three or four to a glass but they do the trick. Tested and approved by the team. These wireless headphones are no joke. JBL teamed up with Under Armour to create an in-ear headphone system that not only delivers intense sound / bass but also tracks your heart rate. 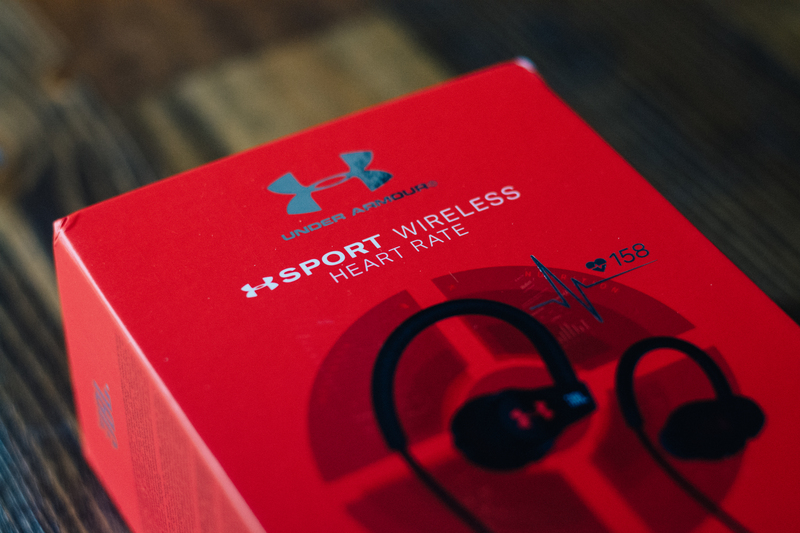 With UA Record™, you can view training analysis / analyze performance trends and hear on-demand heart rate updates thanks to a touch sensor. 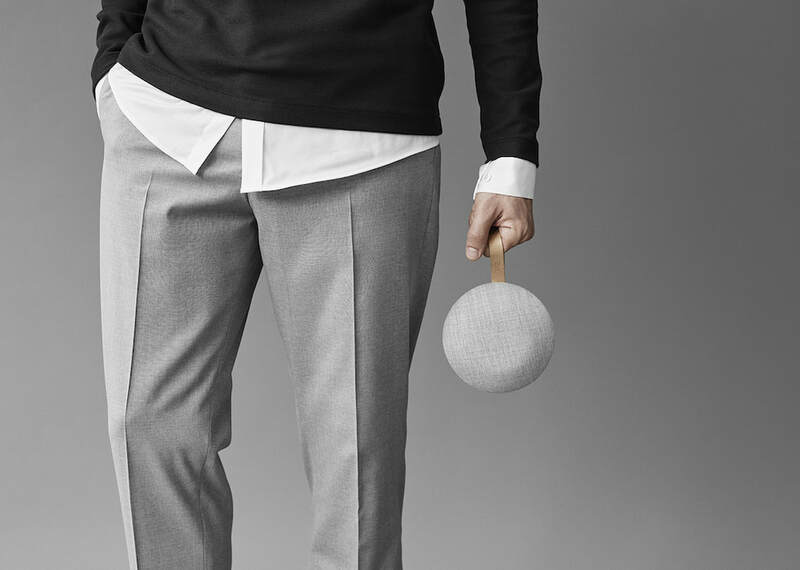 This wireless sound system has the best bluetooth connection we have ever tried and is ideal for running, cycling, rowing, Netflix and chilling or anything else you have in mind. Tested and approved by the team. 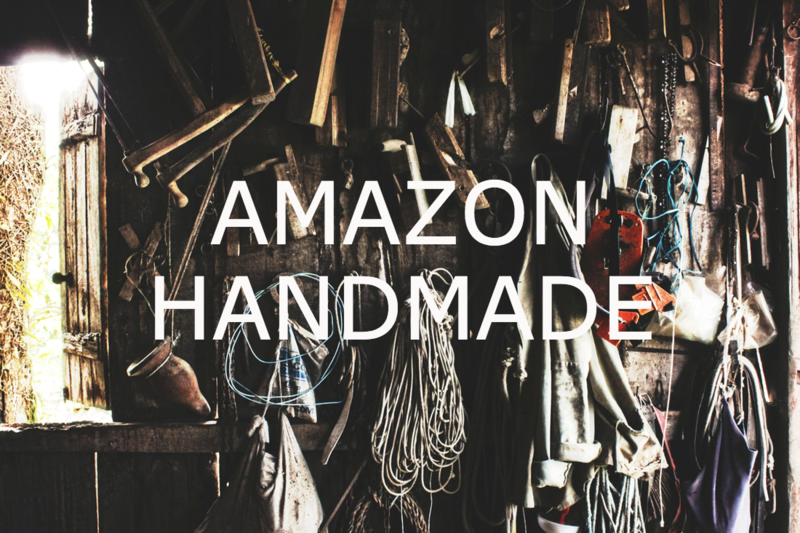 Did You Know Amazon Has A Handmade Section?